The pdf version of the lecture is available on The Federal Trust website. John Pinder brought much wisdom to the European integration project and when he passed away last year all who knew him or were familiar with his work were deeply saddened by his loss. But he did not leave a complete void behind him, since the Federal Trust where he worked for many years continues to be active, while his works are still with us as a point of reference. Considering the turn of events this year, it was perhaps a benevolent twist of fate that his passing occurred a year before the Brexit referendum result which would have hurt him deeply. For John Pinder had dedicated almost his entire life to two important and connected causes: federalism, comprising the federal unification of Europe, and the UK’s membership of the European Union. “Britain is now securely in Europe in the sense that no foreseeable government is going to come out of the Community”. Alas, that prognostication has now been invalidated, which reminds us how dangerous it is to assume that the impossible will never happen in politics or in the EU. In this first lecture in memory of John Pinder, I will discuss some of the points which attracted my attention in his life and works. John Pinder was a pragmatic federalist who believed in the goal of the federal unification of Europe, but at the same time understood and accepted, that when the attainment of this goal was not immediately possible, intermediate steps in its direction were still welcome. He seems to have harboured serious doubts from the early stages of his involvement in the European federalist endeavours, about the traditional approach of emulating what the Americans had done at the Philadelphia Convention in 1787. He was a genuine follower of Jean Monnet and the logic of the Schuman Declaration which emphasized that “Europe will not be made all at once…(but) through concrete achievements which first create a de facto solidarity.” He synthesized the federalist and neo-functionalist approaches into what he later described as “neo-federalism”. My encounter with John Pinder began in the 1980s through his polemical 1963 monograph Europe Against De Gaulle in which he vented his strong criticism of the General after he vetoed Britain’s application to join the Common Market. Pinder’s style could not be more pleasing to the ear of a young and rebellious student. Some years later I managed to acquire a copy of the book autographed by the author himself. I met John Pinder for the first time in Malta, in 1987, when he participated in a two day conference organized by the European Movement at what was then the Dragonara Palace Hotel. The event was held in January and I vividly recall that the weather was not all that clement and was indeed wet and cold. He spoke to a large audience which included many leading European and Maltese personalities, among them some well-known speakers such as Robert Triffin. Some of the Maltese politicians attending were later to play a significant role in leading Malta in the EU. Pinder spoke on “A European Plan for the Development of the Mediterranean” in which he proposed that the European Community could become a stabilizing force in a polycentric world. After detailing the difficulties which the world was going through, it was the Reagan and Gorbachev era, he proposed that the Community could start with the Mediterranean in dealing with these problems and if it managed to achieve peace in the region it could go on to “other and wider things”. In later years I met Pinder several times at meetings of the European Movement and in 2005 I attended the Zagreb conference of the University Association of Contemporary European Studies (UACES) when he was awarded the first Lifetime Achievement Award. As many who knew him know, he loved walking and on the day of the award we chanced to bump into each other in the lobby of the hotel and he asked me to stroll with him to the venue, situated half an hour’s walk away. I suspect that after publishing it, Pinder must have had a few misgivings for the strong words he used, for he carefully omitted any mention of it in some of his bio-notes. But I still value the book for two reasons, firstly because sometimes intellectuals need to “blow their top” and secondly because it sheds a great deal of light on Pinder’s world view. His criticism of De Gaulle was biting, audacious for some and for others not very far from the truth. Pinder criticised him of continuously blocking the development of “Monnet’s Europe”, for acting like a chauvinist and for his hostility to the United States. Pinder pointedly criticised De Gaulle’s l’ Europe des Patries on the grounds that it would weaken western European unity and increase the risk of American or Russian hegemony over Western Europe. Unsurprisingly, Pinder took special umbrage at De Gaulle’s “realist” approach in international relations. Pinder held that surely the tools of foreign policy cannot be limited to passing coalitions of states, to the balance of power or to Machiavellian diplomacy. Not even well intended summits, intergovernmental conferences or non-aggression pacts were enough for Pinder. He advocated what he called the Monnet Revolution. “… the fundamental cause of poverty and unemployment, of the partial breakdown of capitalism, and of war, in this modern world”. For Lothian, what was needed to reduce international anarchy, was to put the international system under the rule of law which implied some form of international Governance. Like many leading thinkers of the inter-war and post war period, Pinder strongly resented extreme nationalism because it tended to increase competition among states and stood in the way of inter-state cooperation, thus helping to strengthen international anarchy. He accepted that national governments must look after their legitimate interests, but the pursuit of national interest and power cannot be the fundamental aim of policy. As such it must be replaced by the effort to identify the general interest and to embody it in common institutions that group the nations together. Pinder hoped that the Monnet Revolution could lead to the unification of Western Europe which would in turn open the door for a transatlantic Partnership, and hopefully to two other positive spinoffs: a new deal for emergent nations based on the mobilization of economic aid to spur on their development and a partnership with Russia, which was the key to real world disarmament. The Monnet Revolution as seen by Pinder rested on three fundamental principles: (a) the search for common interests; (b) the creation of partnerships centred on agreements; and (c) the conversion of partnerships into communities based on institutions of supranational democracy, in the viability of which he profoundly, if controversially believed. It was essentially pragmatic and hardly utopic, as he himself highlighted “not a reaching for the stars, but one step after another up the side of a mountain.” On the other hand Pinder considered De Gaulle’s l’ Europe des Patries as a throwback to the politics of Europe in 1913. In 1969, after De Gaulle left the political scene, Pinder co-authored with Roy Pryce a much less confrontational sequel to his 1963 book, appropriately entitled Europe after De Gaulle: Towards The United States of Europe. The authors kept to the same principles and normative framework of the 1963 work, extending the argument by a broader treatment of the need for détente between Russia and the West, and not surprisingly, by a call for monetary integration in Europe. Pinder and Pryce underlined that only a united Europe could become an equal partner with the USA to catalyse world unity. The world had moved on after De Gaulle, and Pinder had moved on with it. One proposal which attracted my attention concerned the central role which he urged Britain to take in the process of European integration, namely to spell out a vision of an ‘ever closer union’ even before attaining membership. He clearly saw Britain at the heart of the European integrative process and not in the role of an objector. Pinder maintained and developed this notion of an active EU in the world right to the end of his career. Never losing sight of the lasting peace and economic prosperity which European integration had led to, he held that the EU could indeed lead by example, by influencing other regions of the world to try and follow in its footsteps. At the same time he realistically believed that a global order based on the rule of law was only possible among democratic countries. Indeed, De Gaulle’s departure from power signalled the beginning of a new and more optimistic era for the European Economic Community. The December 1969 Hague Summit opened the door to the enlargement of the Community and the possibility of political and monetary integration. Europe after De Gaulle could not but reflect this new spirit of optimism and hope that had gripped Europe at the time. Pinder’s “world view”, which I have briefly outlined, is very intimately connected to his attachment to federalism – and above all peace. What had ignited his enthusiasm with federalism was the promise of lasting peace. But how did Pinder become a federalist? And, what type of federalism did he subscribe to? Pinder graduated in economics from the University of Cambridge, but it was not there that he became interested in federalism. He discovered federalism afterwards. Which reminds me of Jon Acuff’s witty advice to new graduates: “Don’t listen to people in their 40s who behave as if the intellectually creative part of life ends the minute you get your degree.“ For Pinder the most exciting and creative part started after he graduated. Pinder encountered federalism, in 1950, through William Beveridge’s “The Price for Peace” while completing a six month internment in a sanatorium in Scotland to recover from Tuberculosis. That was also the year of the Schuman Declaration, which led to the first concrete step towards European integration. Following this initial encounter, Pinder could turn to a rich and varied British federalist tradition and a corpus of publications from the Anglo-Saxon world for more insights. In time he would also comment on the work of several British and leading thinkers on federalism through his contributions to The Federalist, a political journal founded by Mario Albertini in 1959 and which was linked to the Union of European Federalists. The roots of the British federal literature can be traced to the influence which British political thought had had on the American Constitution, and to John Stuart Mill in the nineteenth century and in the 20th century to such thinkers as Harold Laski, Lionel Robbins, Ivor Jennings and Friedrich Hayek, Lord Lothian and the Australian constitutionalist Kenneth C. Wheare. In 1950, Pinder also became active in both the Federal Union and the Federal Trust. The Federal Union was founded in 1938 by Charles Kimber, Patrick Ransome and Derek Rawnsley. It gained much support in Britain and later played its part in the establishment of the federal movement in Europe. The Federal Union Research Institute constituted by Beveridge and Patrick Ransome in 1940, was the forerunner of the Federal Trust for Research and Education (The Federal Trust) which was established in 1945. Pinder held the Chair of the Trust from 1985-2008. The formation of the Trans-European Policy Studies Association (TEPSA) itself has been attributed to the meeting of minds in some of the weekend conferences organized by the Trust. From the start of his European journey, Pinder kept close contact with European federalists and in 1951 he travelled to Aachen to attend the fourth Congress of the Union of European Federalists (UEF) which had been founded by Altiero Spinelli in 1946. Altiero Spinelli and John Pinder shared the common goal of the federal unification of Europe and no doubt mutual respect, though at times they differed in tactics and approaches. Spinelli, who with Ernesto Rossi had co-authored the 1941 Ventotene Manifesto for the federal unification of Europe, had been influenced by the works of British Federalists, foremost among them William Beveridge and Lionel Robbins. This connection is recounted by Pinder in a 1998 monograph. It is evident from Pinder’s contributions to the The Federalist, that the federal influences worked both ways. Not only had the likes of Spinelli and Luigi Einaudi been influenced by British federalists but beginning in the 1950s, John Pinder and UK federalists were themselves gaining new insights from their European counterparts. It is evident that Pinder’s notion of federalism was much broader and slightly less Eurocentric than Spinelli’s. To understand Pinder’s federalism, one has to cut through and understand the internal cleavages of the Federal Union and which must have influenced his approach. The Federal Union in the 1950s, had three internal tendencies, one leaning towards the establishment of a world or global federation, the other which prioritized European unification and a third which favoured a transatlantic union. In fact, in 1956, two internal structures were set up within the Union, the regional commission which focused on the construction of a European federation and the world commission which pursued world federalism. For a long time both commissions worked separately. For the greater part of his life Pinder worked in the regional wing of the Federal Union and focused mostly on the challenges of European integration and Britain’s role in that process. But he never completely turned his back on world federalism. Pinder cautioned the EU not to limit itself to trade and the dismantling of tariffs in its relations with the rest of the world, and from the beginning of his engagement with the process of European integration, he rejected the neo-liberal model or free trade ideology. He welcomed and supported proposals to change the Community’s economic policy from a neo-liberal concentration on removing distortions to competition, towards objectives of structural development and social welfare. Externally, this implies a change from commercial to an economic policy. I have already referred to Pinder’s acceptance of the Monnet approach to integration. But he was also aware of its weaknesses and sided with the federalists who wanted to strengthen the Community’s institutions along federalist lines. Indeed, a step-by-step economic integration could perhaps not make the leap to political union. That is why he supported Spinelli’s campaign for a European federal constitution, I suspect from the standpoint that no harm could possibly come out of such efforts. Had Spinelli succeeded, I am sure that Pinder would have been overjoyed. Spinelli’s first constitutional initiative began in 1952, with the launching of the European Defence Community (EDC) when he succeeded in convincing the Six – through Italy’s Prime Minister and Foreign Minister Alcide de Gasperi – that a defence community needed to be accompanied by a European Political Community (EPC) to ensure democratic control. The European Assembly, forerunner of the European Parliament, drew up a constitutional Treaty in which Spinelli participated in the drafting. However, the project fell through when the EDC was rejected. Pinder disagreed with some European federalists led by Spinelli who wanted to go into opposition and write a European Constitution through a Congress of the People of Europe. Eventually, Spinelli withdrew from politics and went to teach at the Bologna Centre of the Johns Hopkins University. In 1966 he again made the point that unless the EEC was provided with independent institutions capable of taking decisions the community was doomed to fail. But it was only at the end of the seventies, following the first direct election to the European Parliament that he made a second attempt to launch a European Constitution. ‘‘the mountain of work of the Parliament, the Dooge Committee, the Milan and Luxembourg summits and the Intergovernmental Conference’’ had given birth to no more than ‘‘a miserable little mouse, which many suspect is a dead mouse’’. Spinelli had previously gone on record by saying that while Monnet had the great merit of having built Europe he also had the great responsibility of having built it badly. Pinder adopted a more nuanced position, arguing that while it was not possible to ‘‘build Europe well’’ in 1950, Spinelli’s radical but ultimately unsuccessful initiatives of 1951–53 and 1981–84 not only kept the aim of a European federal constitution on the agenda, but also served as major impulses towards building the Union better. When the Treaty of Maastricht was ratified less than a decade later, most European federalists were not entirely content with it. Altiero Spinelli had already passed away and Pinder found words to praise it by claiming that the treaty contained most of the elements that a solid constitution would require. Pinder was enthusiastic about Economic and Monetary Union (EMU), and welcomed it as another important step in a federal direction, but cautioned that it was unlikely to be successful without a deeper federalizing reform of the Union institutions. Later still, after the shelving of the European Constitutional Treaty and the ratification of the Lisbon Treaty which salvaged some of the key provisions of the Constitution, Pinder said that it was a significant step in a federal direction. Pinder never enjoyed the leadership stature and the front-line position which Spinelli had acquired in his life time as a member of the European Commission and later of the European Parliament. But hidden behind his unassuming character, he had political astuteness and a capacity to judge political situations well. Paradoxically, though he disowned the political theory of realism, he did not refrain from taking a leaf out of their recipe book whenever it made sense to do so. One of these was surely pragmatism and he must have subscribed to Bismarck’s famous dictum that “politics is the art of the possible”. 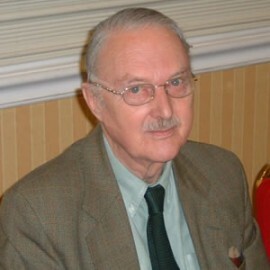 In sum, Pinder acknowledged on several occasions Spinelli’s unique contribution and political acumen in the cause of European federalism. But he was always ready to accept any positive step forward in this direction even when bolder steps were essentially rejected – rather than risk further confrontation with possible regress or stagnation. Every little step up the mountain brought Europe closer to the summit – until the next step. Pinder has bequeathed us a rich legacy in the form of the Federal Trust which he helped to develop as well as the array of ideas on European integration and federalism scattered in several publications and journals. Above all he was an indefatigable defender of the authentic meaning of “federalism,” which in his and our time has been turned into a term of abuse by populists and Eurosceptics for their own political and ideological objectives. For Pinder, who was attached to no ‘ism’, federalism was not a dogma but a rational way of organizing society at the sub-national, national supra-national and global level. In his untiring effort to defend the true meaning of federalism he attached a great deal of importance to the principle of subsidiarity and flexibility which in turn calls for a careful allocation of competences within the EU’s constitutional order, the development of which is evident in the treaties from Maastricht to Lisbon. In my final remarks I would like to treat another issue which Pinder confronted all his life, namely the connection between academic or intellectual and political activism. The issue is how far should intellectuals venture into the political world without compromising their independence and objectivity. For many, the intellectual’s prime objective is to pursue knowledge and then leave it up to political elites to act or otherwise on what they propose. Pinder believed that there were two kinds of activists in the field of European integration: those with “a political job to do” and those with “an intellectual job to do”, which he united together by emphasizing that there was significant overlap between the two worlds. He moved freely and effortlessly between the two worlds. Apart from his participation in the Federal Trust he also taught at the College of Europe for 30 years, helped to set up TEPSA, wrote several outstanding monographs and co-authored many important works with others. He participated in the work of the Union of European Federalists, which he chaired between 1984-1990, and the European Movement both in Britain and the rest of Europe. His constant and consistent strivings should cause us to pause and reflect a little on our contemporary situation. Today Pinder’s two worlds have become more detached (though not completely) and intellectuals do not always rub shoulders with those who, in Pinder’s own words are engaged “in the field of battle”. This is odd when the EU is embattled on all fronts. I think that the academic community has to make its presence more felt in the public sphere, the Agora. Whether we do so or not, the public debate on the future of the EU continues to take place with unyielding intensity both in the traditional media as well as in the newer ones, on the internet blogs and mobile phones, often in the form of single sentence messages employing the social media for which many intellectuals are unprepared or else feel that these are not the adequate communication tools that they want to use. The discussion raises many questions such as whom are intellectuals addressing, members of their own ‘club’ or the public? A process such as European integration which has many facets and influences a wide range and variety of audiences does not allow for clear dichotomization between the activities of intellectuals and politicians. The question is the manner and medium in which intellectuals can engage in public debate without necessarily having to join the partisan political hustings. I have little to add to this learned assessment. Throughout his life, John Pinder was the embodiment of an intellectual leader in politics and I have argued today that even after his demise he still stands out as a role model for us, both as an activist and a pragmatic federalist. I believe that federalism based on solidarity and subsidiarity, still holds the greatest promise for the European Union, if only for the sake of the freedoms which the peoples of the member states cherish and wish to preserve and the binding synergies that federalism can create. In this respect I think highly of the effort that is being made by the Spinelli Group in the European Parliament to promote a fresh Constitutional impetus towards federal union. This initiative is in my opinion worth more support, if anything to keep the future of Europe on the agenda even if for the time being the conditions for further treaty changes do not exist. The Spinelli Group keeps the federal concept alive in a Europe which is becoming more prone to retrying the disastrous courses of action “already tried”, such as the renationalisation of policies which could trigger the dismantling of the euro and in extreme the Union. This would indeed be a throwback to 1913. Since the Union and its member states have failed to address serious socio-economic issues that affect large swathes of our populations, the EU is increasingly being questioned and challenged. Hence I side with many who pragmatically advise that our first task is to rekindle fresh enthusiasm in the European project by tackling these social disequilibria before we venture into a new round of treaty changes. It is certainly time for more intellectual leaders in politics to join the public debate. Let us all in this room follow John Pinder’s example in doing so. Beveridge William (1945). The Price of Peace. Pilot Press, London, 1945. Briand Aristide (1930). Memorandum sur l’Organisation D’un Régime d’Union Fédérale Européenne. Paris, 1 May.https://dl.wdl.org/11583/service/11583.pdf. Coudenhove-Kalergi Richard N. (1926). Pan-Europe. Alfred A. Knopf, New York. Debates of the European Parliament (1986). OJ Annex No 2-334, Session 1985-86, Report of Proceedings from 13 to 17 January, Europe House, Strasbourg. Sitting of Thursday, 16 January. P.171 forward. Discussioni del Parlamento europeo (1986). GU Allegato No 2-334, Sessione 1985-1986, Resoconto integrale delle sedute dal 13 al 17 gennaio, Palazzo d’Europa, Strasburgo. Seduta di giovedì 16 gennaio. P. 183 – 309. Draft Treaty Establishing a Constitution for Europe (1984). Official Journal of the European Communities, C77, 14 February. PP. 33-58. Duff Andrew (2015). John Pinder: Like a Pilgrim. Union of European Federalists. 16 April. at http://www.federalists.eu/uef/news/john-pinder-like-a-pilgrim/. (visited 23 October 2016). Duff Andrew, Pinder John and Pryce Roy (eds.) (1994). Maastricht and Beyond: Building the European Union. Routledge. Smith Michael (1998) (Interviewer). Historical Archives of the European Union, European University Institute, Interview with John Pinder, London, 24 August. Lord Lothian (1935). Pacifism is not Enough, Nor Patriotism Either.Federal Union, at http://www.federalunion.org.uk/wp-content/uploads/2010/08/pacifism_is_not_enough.pdf. (Visited 14.10.2016). Mayne Richard and Pinder John (1990). Federal Union: The Pioneers – A history of Federal Union. Palgrave Macmillan. Monnet Jean (1943). Note de réflexion de Jean Monnet, Alger, le 5 août. CVCE, Luxembourg. http://www.cvce.eu/obj/note_de_reflexion_de_jean_monnet_alger_5_aout_1943-fr-b61a8924-57bf-4890-9e4b 73bf4d882549.html. (Visited 14.10.2016). Pinder John (1963). Europe against De Gaulle. The Federal Trust for Education and Research. Pall Mall Press. London and Dunmow. Pinder John (1975). “The Community’s Need for an Active External Economic Policy”, The World Today, Vol. 31, No. 9 (Sep.) pp. 368-375. Published by: Royal Institute of International Affairs. Pinder John (1978). “A Federal Community in an Ungoverned World Economy” in Burrows Bernard, Denton Geoffrey and Edwards Geofrey (eds.). Federal Solutions to European Issues. MacMillan Press for the Federal Trust. Pinder John (1986). “European Community and nation-state: a case for a neo-federalism?” International Affairs, Vol. 62, No.1 (Winter), Wiley on behalf of the Royal Institute of International Affairs, pp. 41-54. Pinder John (1995a). European Community: The Building of a Union. Oxford University Press, Oxford and New York. Second edition. Pinder John (1995b). European Unity and World Order – Federal Trust 1945-95. Federal Trust. Pinder John (1996). “Economic and Monetary Union: Pillar of a Federal Polity”. Publius, Vol. 26, No. 4, Federalism and the European Union (Autumn, 1996), pp.123-140. Pinder John (1998). Altiero Spinelli and the British Federalists: Writings by Beveridge, Robbins and Spinelli. Federal Trust, London. Pinder John (2007). “Altiero Spinelli’s European Federal Odyssey”. The International Spectator, 42:4, 571-588, DOI: 10.1080/03932720701722944. Pinder John and Simon Usherwood (2013). The European Union: A short Introduction. Oxford University Press. Pistone Sergio (1996). L’italia e l’ unità europea. Loescher Editore, Torino. Robbins Lionel (1968). The Economic Causes of the War. First published 1939. Howard Fertig, New York. Spinelli Altiero (1966). The Eurocrats: Conflict and Crisis in the European Community. Tr. C. Grove Haines. The Johns Hopkins Press, Baltimore. Mayne and Pinder (1990). P. viii. Significantly, this work was published in 1990, the year Prime Minister Margaret Thatcher resigned as Prime Minister, as if to underline and recall the enormous contribution which British federalists had made to the European integration process. Pinder (1995a). PP. 240-242; Pinder (1986). I am indebted to my friend and colleague Mr Peter Cassar Torregiani, who was also a friend of John Pinder, for unearthing the proceedings of the 1987 Malta conference which was supported by the Banco di San Paolo of Turin, Italy. Pinder & Usherwood (2013). PP.140-142. Mayne and Pinder (1990). P.10 on the launching of the Federal Union; the Federal Union Research Institute P.34 and the Federal Trust for Education and Research PP. 109-110. Mayne and Pinder (1990). P. 114. Pinder (1995b). PP. 13-14. Pinder (1975). P. 4. Pinder (1978). Draft Treaty Establishing the European Union (1984). Pinder (2007). P.586. Spinelli use this expression in the European Parliament, when he said (P.219), “ha partorito solo un miserabile topolino, e molti sospettano anche che sia un topolino morto” which in the official English translation came out as (P.203), “the net result is what many people suspect, a dead duck anyway.” European Parliament Debates (1986). Duff, Pinder and Pryce. (1994). P. 284. Pinder (2007). P.587. See also Palayre (2010). Pinder (2013). PP.51-53. Pinder (1995a). PP.188, 240.